As well as The Lamb pub, Ray and his family occupied a number of properties on The Estate. I started by asking Ray to tell me about his early life in Bethnal Green until he moved away in 1956. “Anyway, the war started (because I was born, I think!) and dad got called up into the RAF. It was quite hectic there at that time. From then on, just me and my mum was there and it was the one flat from the top. As my dad was away, she had to get a job. She was a top machinist. She worked just off Brick Lane, she had a room full of machinists and they made clothes and she was in charge of them all. It was a Jewish firm, because they were all Jewish down there, you see. My gran who lived at 108 Wilmot Street (with my granddad) looked after me while mum went to work. Anyway, all the children down there, about 95% of them were then evacuated away into the country, but my mum wouldn’t let me go. [laughs] She said, “I’m going to have to come and live with you mum.” That’s at 108 Wilmot Street. She kept the flat on for when my dad came back, which he never got any leave or anything, you know those days. She lived with my gran over at 108 Wilmot Street. In the meantime, when the bombs started falling, the council built big shelters in the middle of the road along Wilmot Street. I was then going across the road to Wilmot Street School. That was my first school. 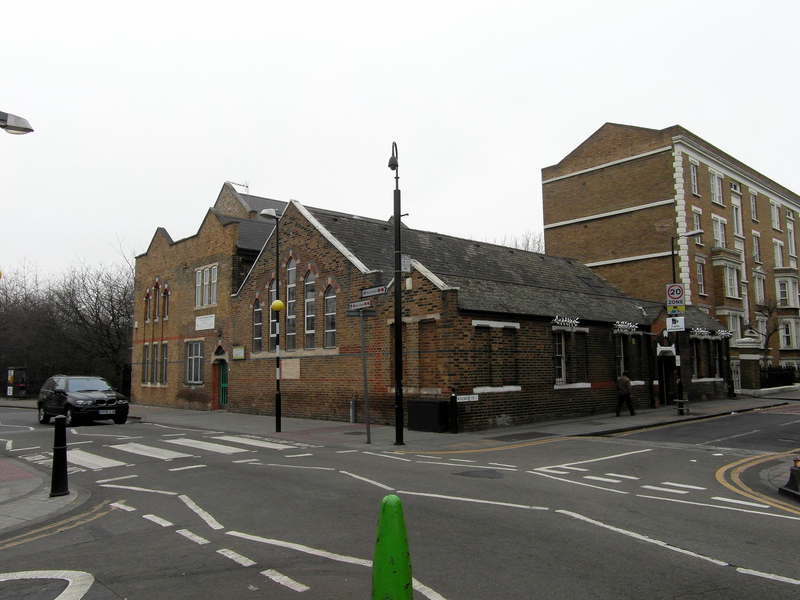 After that I went to Lawrence Street School (Author – I think this is now Lawdale School on Mansford Street), the other side of Bethnal Green Road. Then after that I took my 11 plus and I went to Parmiter’s Grammar School that was up near Victoria Park, but I couldn’t stand it there because it wasn’t my sort of school. Not only did I have to wear a cap and everything, but the teachers walked round in these bloody great Batman gowns and you’re supposed to use Latin and Greek and all this stuff and you had to play rugby and cricket. I was a very good swimmer, I wanted to do swimming and football. I complained a lot my mum and dad they decided to go to the council and asked if I could be transferred to a technical school. So I left Parmiter’s school and went to Morpeth Street Secondary school which was completely technical, woodwork, metalwork, football, swimming, and everything. Which was all more my thing. I was getting famous because in the newspapers it was,”Herrington’s beaten three records at the swimming galas” and all this business. While I was at Morpeth street and at the Lawrence School, I swam for the school for Bethnal Green, for East London, for London, for southern England and England. I went up to Lancaster and appeared in the finals England, Scotland, Ireland and Wales at Lancaster in the swimming finals. Talking to Ray about his life after Bethnal Green he described a life of adventure. I asked him if he stayed in the forces after his National Service. Ray hinted at many intriguing adventures, but wouldn’t be drawn on too many details. “I went all over the world. I went to Cyprus, Jordan, Libya, Egypt, Kenya, Aiden. Everywhere I went. During this time I trained to be a chartered engineer. It took loads and loads of college work. I also was persuaded to move on to the Queen’s Flight and I flew the Royals all over the world. I took the Queen down to Australia in 1973 to open the Opera House. I took Charles and all of them all over the world. Did eight years there and I was due three years before I came out. When you’re on the Queen’s Flight and you decide you’re going to leave, you can have whatever job you want wherever you want. I said, “Well, I’d like to go over to Abingdon,” which was only 15 miles away from Benson, “and do the Jaguar majors that are going to start there.” Air Commodore Winskill just phoned them up and said, “Our chief tech coming over who’s got to run Jaguar majors for you. Give him a hanger and give him all that he needs” I was there for three years doing the Jaguar majors. I used to have CWP. 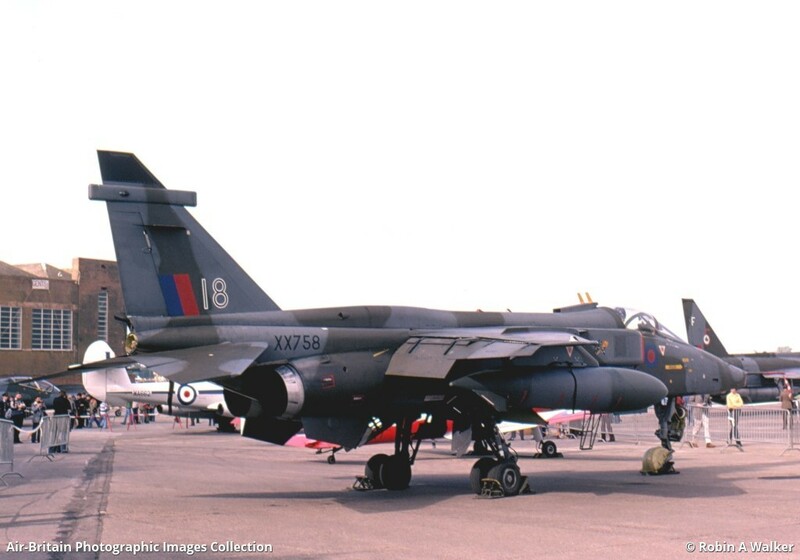 A company work in British Aerospace. This director of British Aerospace came down just before we were due to come out and said, “We need a chartered engineer to be the accident assessor for British Aerospace. We can’t get anywhere. Would you work for us?” Luckily where Walton was up here is where my wife was born. I said, “Yes, okay.” I went there and I spent so many years there before I retired. We got back to talking about his childhood memories of Bethnal Green and the Waterlow Estate. 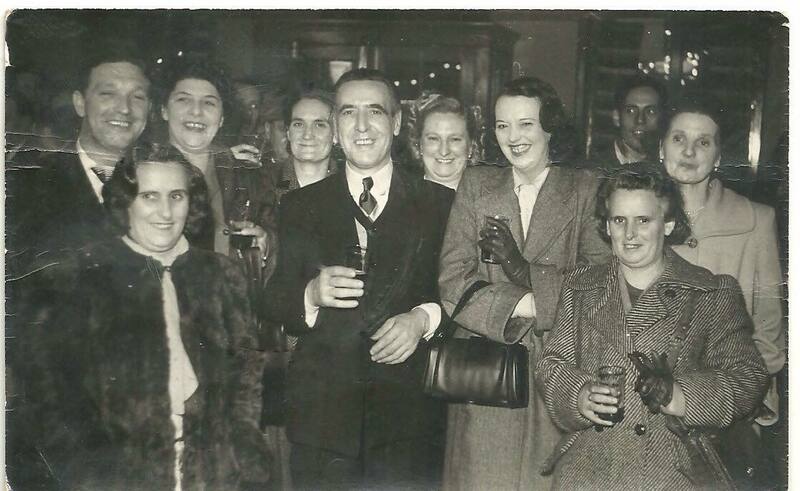 Ray and his family lived in a number of flats in the Estate, including The Lamb pub. He was living with his gran at 108 Wilmot Street, while his mother and father lived at 428 Corfield Street. I asked him about these flats and his memories of the estate itself. “Once my dad was home, he started playing about with other women. So my mum divorced him. She swapped 428 to 275 Coldfield Street and I went to live with her there. Because I’d been with my gran before. But then my granddad got, It was cancer I suppose, they didn’t know what it was in them days, so he died. My mum then was courting my new stepfather down in the pub. She eventually married him and she moved up to the 275 flat with me and him. Although I couldn’t get on with him, we were always fighting. The Lamb was owned by Alice Clarke , who was my step father’s mother. I think it was 1938. I think that she took over The Lamb. I never moved in until my mum and step dad got married. Before she bought the pub she was, this is where she got her money I’m sure, she was a bedroom steward on the P+O lines. England to Australia and back. She had four children working with her there. That was Ronald Clarke, Patricia Corrick, Jeff Clarke , and Maria Allen who was married to an RAF fighter pilot, he used to have all these coats and guns swinging on his hips. They were all Clarke originally. Before mum met dad, in the pub, Alice used to have a big red setter called Judy. I used to go and knock on the door and say, “Mrs. Clarke can I walk your red setter Judy, please? She’d say, “All right, but you take her to Barmy Park and you don’t let her off until you get on the park, will you?” I used to take the dog down Three Colt’s Lane under the arch till we got to Cambridge Heath Road, and there was a big park there then which everybody called Barmy Park. 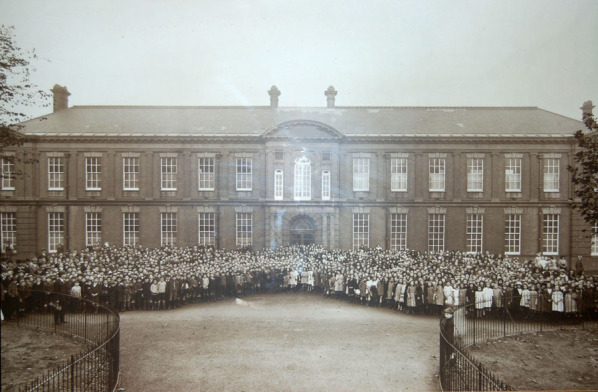 The reason they called it Barmy park, when I was a kid there was a big library there, which used to be a lunatic asylum. I used to walk her down there and bring her back and she gave me a penny which was a lot of money in those days. Note – you can read more about the history of Barmy Park and Bethnal Green Library here. Whilst I was at the Lamb, diagonally across was the British Railway entrance to go up to the steam trains. That arch there led down to Brady Street, there used to be one of these old Gypsy caravan type things that used to be parked there. That was ran by Ted. He used to open one side of his caravan and he used to sell tea, coffee, glasses of water, arrowroot biscuits, and all the stuff that he could get a hold of to the railway blokes. The train would stop, they’d run down, “Give us a mug of tea, quick. I’ve got five minutes before the trains goes again.” He used to have that under there. When my mum used to go down outside the pub, I used to stand outside the pub and my mum and gran would go in and have a drink and I’d get a biscuit or a bag of crisps or something like that. If it was raining and I used to go over to Ted’s and he’d let me go up the steps into his caravan and hide under the counter where it was warm. You can always tell somebody who lived in Bethnal Green if they knew the answer to this question – “Why didn’t the lion eat the lamb?”. 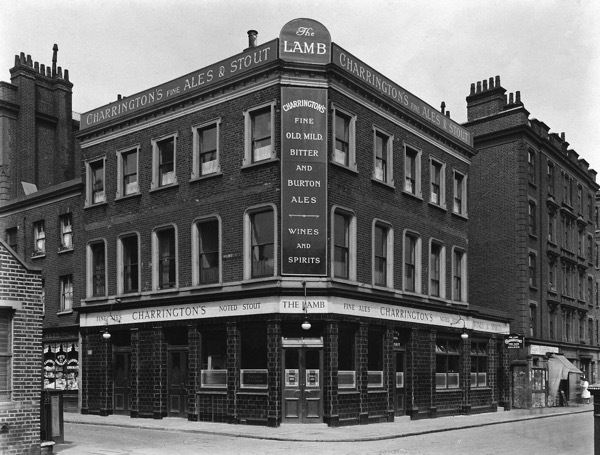 The Lamb was on one corner and if you turned right into Three Colt’s Lane and went up to the next junction, on the other corner was a pub called the Lion. Somebody would say, “Oh, yes, I come from Bethnal Green, I did this, I did that.” Then you’d say, “Why didn’t the lion eat the lamb?” Then if they didn’t know the answer, you would tell them to shove off. The answer is, because The Good Shepherd is on the opposite corner of Wilmot Street to the Lamb. It was a Christian place where you had to go and have Sunday school and all that. I asked Ray about the customers of The Lamb, he started by telling me a toe curling (and unfortunately unprintable) story of local hard man Razor Eddie and the consequences for any upstarts who showed disrespect to Alice. He also told me about another gang of fake war heroes who appeared at the pub one day. She said there have been men who come in that big car, they get out and what they do, they strap one leg up and put a false wooden leg on, and the other one puts blind patches over his eyes and another one makes his coat all floppy. She said they go and play rough old tunes, down on Brick Lane, as war veterans. She said they never went to war in their lives. It was only then my gran realized who they were. She won’t have them in the pub anymore. It was very nice down there. Everybody knew everybody most of the time. I asked Ray when did Alice moved away ? 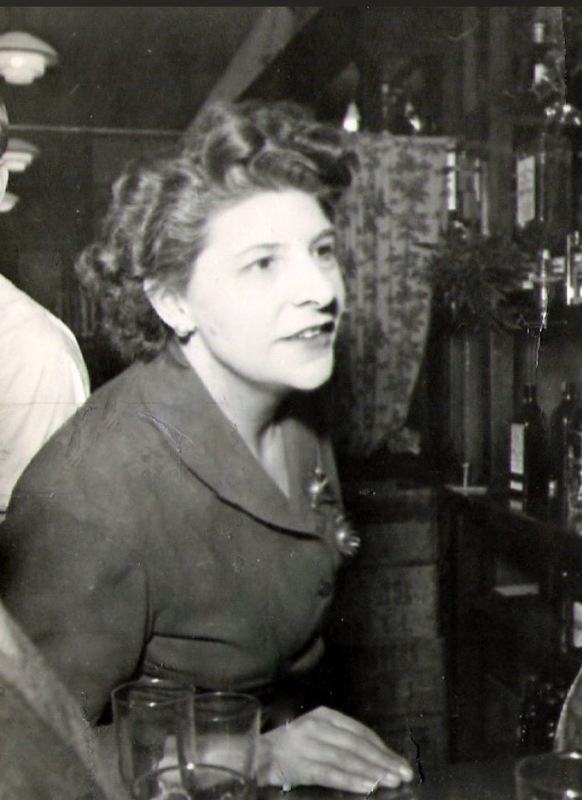 It was 1956 I think, I was gone in the RAF, nan sold the pub and moved down to Sandwich in Kent and bought another pub called The Bricklayers Arms which backed onto the River Stour. It’s right next to the yacht club it was, beautiful pub very oldie worldy. 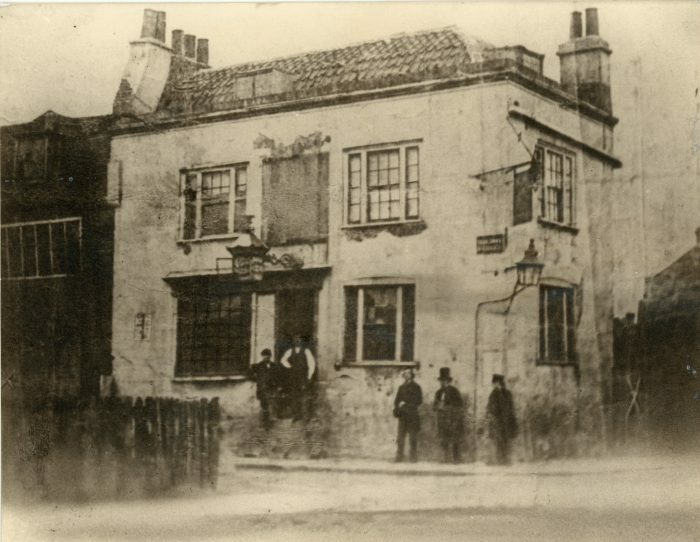 The Lamb public house sometime pre 1861. Reproduced with the permission of The Tower Hamlets Local History Library and Archives. Ray and I talked a little about how the pub became The Sporting Life in 1964 and eventually closed down in 1993 before being turned into flats. I did go back to Bethnal Green and what they’ve done, because I think it became The Sporting Life for a little while. They got hold of the pub and they’d ripped all the outside tiles off. There were these beautiful deep mahogany red tiles with pictures made out in the tiles for coaches and horses and men. The windows was scribed with all these lovely things on the windows. You went into the pub itself and the bar was mahogany. Between each of the bars was a mahogany wall with glass you could see through. They’d ripped the whole lot out. Painted the outside matte black. Inside, all the lovely chairs had gone and they had plastic armchairs and settees along there- along the sides. The bar .. it looked like somebody put a load of stones there and a marble bowl on top. It was absolute rubbish. Completely taken the bloody place apart. It didn’t last long anyway because then it got sorted out. Somebody made it into flats or something. We then got to talking about his memories of the local businesses he remembered around the Estate. “I saw you had some Facebook messages from Patricia Allen who said her grandfather used to run the paper shop down next to the pub? – I used to sell papers for him as a lad. I used to go around, he give me them all in a canvas bag and I used to go down Three Colt’s Lane to a place called Allen and Hanburys. I used to go under the arch, around the back where all the goods used to go in. I used to stand there saying, “Star News or Standard. Star News or Standard.” As they come out of work they used to get the papers off me. Another little shop sold groceries and things opposite Allen’s there. Right across the road was a taxi place. There was a huge big taxi firm across the road from the pub. If you came out of the Lamb and started walking up Wilmot Street, the first place you come to on the left-hand side was a cafe. Now, not a lot of people know that because it’s closed down just after the war, anyway, it was a cafe, but the next one was Arnold’s. It was a big shop that sold all sweets and lemonade and all that sort of thing. Now there was no more shops on Wilmot Street at all. Until you got right at the top. Right at the top on the corner was a sweet shop. Now I’m going to tell you something now that will curl your hair. At the end of the war and just afterwards there was a big royal do and everybody was going to have a street party. All the kids had come back off of evacuation and everything else. There’s going to be this big party. He used to sell sweets and all sorts of things in that shop. He was the one who was allocated to be responsible for getting all the money, so he had a book in there and you used to go in and give them so much a week and he put it down in the book and everything else. He did Wilmot Street, Ainsley Street, Finnis Street, Corfield Street. On the day all the ladies got their tables out and they’d laid all the tables with sheets and seats and everything and all this stuff was supposed to arrive, nothing arrived. The shop was locked up, nobody saw him again. We had musicians turning up, we have magicians turning up. What the blokes did, they said, “We’ll get him, don’t worry.” Anyway, they smashed open the door, took all his sweets and stock out and put them all on the table. They just went back indoors and made sugar sandwiches. That’s the only thing they had in those days, sugar sandwiches. We got loads of them, these big cans of lemonade and big bottles that had those little glass things in thing. We pinched everything out of the shop to do it. They still had their party. The magician did it for nothing. The people who were helping out did it for nothing, a shop off Bethnal Green Road. They sold bread and cakes and all that sort of thing. All the stuff that they had left over and it was mid-afternoon, though brought down and gave them to them. We had the party. 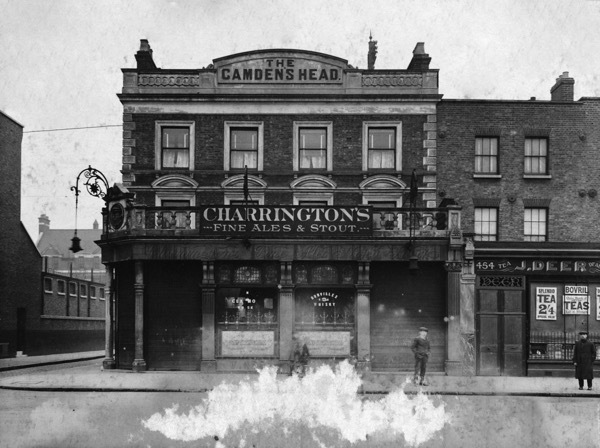 When you got to the end of Wilmot Street, Bethnal Green on the right-hand side, the corner shop was a butcher’s. On the left-hand side was Philips and Scoons. Philips and Scoons used to take money after people monthly and then every so often you could go in and get a shirt or some socks or that, out of the book. “The Estate was a good place to live, it was wonderful. No women were ever touched. No kids were ever touched. The doors were always open. They didn’t have much there. You go in anybody’s house and on the floor would just a wooden floor with paper on. On the table, when you’re at your dinner, it was paper. When I used to live in with my gran there wasn’t another bedroom, so I used to live in an alcove with blankets and a straw palisade sort of thing between the blanket. There was newspaper between the blanket that went over and the coats. We used to have the coats on to keep warm with newspaper as well. The actual buildings themselves, they all had flat roofs. When you went up the stairs to the flats, when you got to the top, you continued up another flight of stairs, and there was a door there, you open the door, you went out, you are on the flat roof. But there was a wall all around it, with railings on, so as you couldn’t fall over, you know, and the ladies from the top two flats used to go and hang their clothes up there, and on the top there were small water tanks, as well up there so you could go up one block if the “coppers” were chasing you, right, one up the block, right to the top, get to the top, go out of the door at the top onto the roof, put the bolt on, because then the police couldn’t get on, you see, then you’d go one, two, three, four blocks away, say down towards Ainsley street, along the top of Corfield street, open up and go down and out that way and they would never caught you. Note – There is still one block on Wilmot Street with a flat roof, on the East side. 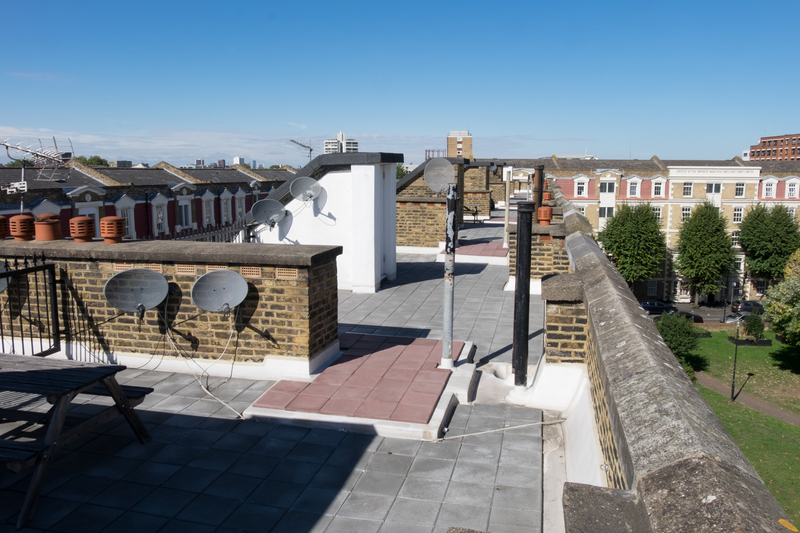 Unlike the rest of the estate this block wasn’t modernised by Barrett Homes so it has a slightly different layout inside, and retains the flat roof with access for tenants. “There’s a thing that I saw, was just after the war there was a person called Oswald Mosley who led the black shirts who supported Hitler and all that. He decided he was going to show off and walk down Wilmot street with his men, got them to march down with all their placards. They marched in from Bethnal Green Road. As they walked down the men got-started to go down, about a dozen policemen just formed a line across the end of it that meant nobody else could go in following them down, and when they went past Ainsley street, you have to picture this, once they got past the entrance to Ainsley street another load of policemen came and formed a line there so as nobody could go on to Wilmot street. When they got down to Finnis street, another line of policemen closed off Finnis street so as nobody could go down there. Once they got down by the side of the school they were all marching down, suddenly in front of them they found about a hundred blokes with pickaxe handles, and lumps of wood, and all sorts, waiting for them. 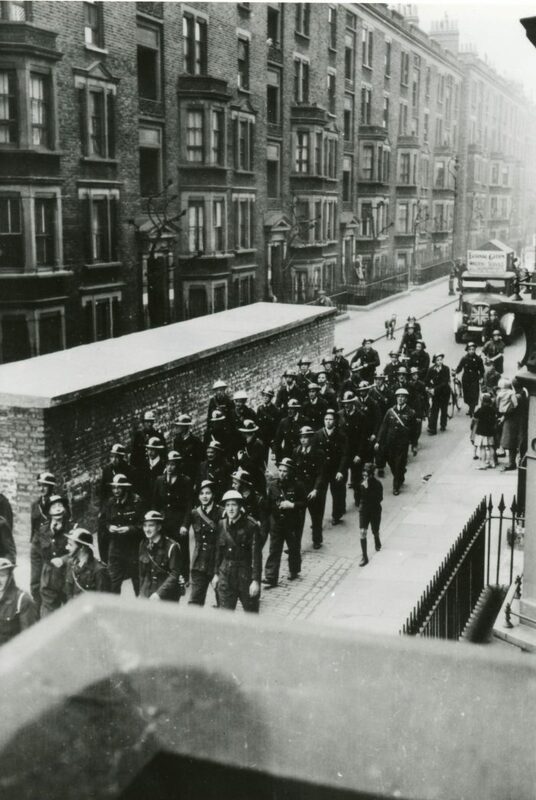 Now those blokes started to move back up Wilmot street, and as they did that the policemen at Ainsley street moved out of the way, and a load of blokes with pick axe handles and everything walked into Wilmot street. So they were trapped in the middle of it, and the police wouldn’t do anything about it. They just stood there whilst the Bethnal Green lads gave them a bloody good hitting and there was ambulances, and all sorts to take them away. The police never did a thing. Mosley was chucked out, and the load of them were badly injured and ended up in the London hospital, and Bethnal Green hospital. I’ve even managed to find a photograph of him speaking at The Wilmot Street school in 1948. 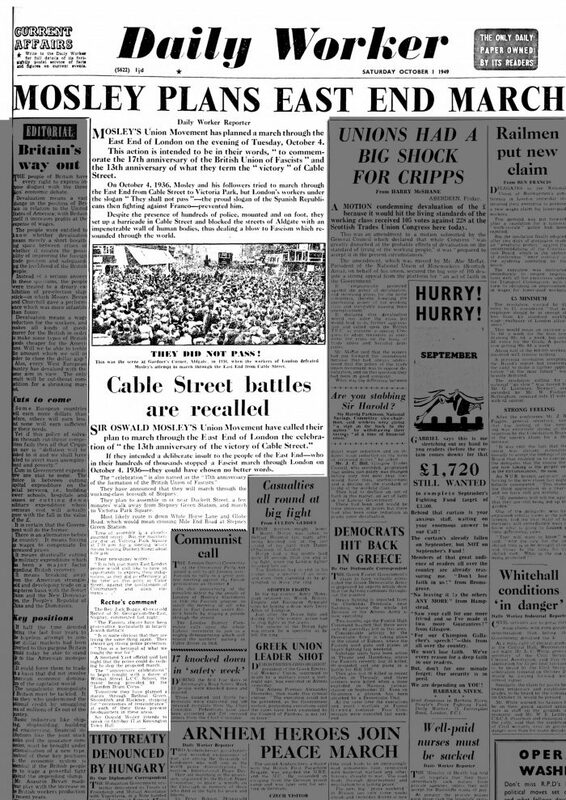 Finally this Daily Worker newspaper report from 1949 details a dance (!) at the Wilmot Street school which billed as an anniversary of the 1936 Battle of Cable street. I’m hugely indebted to Ray for taking the time to talk me through his early life on the estate. When I set up this site I couldn’t have dreamed that people would be so generous with their time and allow me to record and share their memories with the world. Thanks also to Mark Herrington for arranging our conversation. If you’d like to share memories, photographs or anything else please get in touch in the comment section below. What a fanstais read, thank you! Ray’s life sounds truly remarkable and how lucky we are to have such a great insight to life on the estate at that time. I had no idea about the other shops on Wilmot Street; I wonder, were they on the same side as the Lamb Pub where the newer flats now are? Hi Douglas. Yes the cafe can be seen just to the left of the lamb in the photo at the top of the article. The corner shop he mentions is still there but used as an office now. The rest of the businesses faced out onto three colts lane and most of the buildings still exist. What a wonderful piece thank you so much! My Nan Lucy Burston lived at 107 Wilmot from 1935 to 1947 so must have known the family, neighbours were proper neighbours back then! We lived at 116 which was next door to Nan’s at basement level in the next block so we shared a back yard with her. Our name was Edwards and my Dad was Mayor all through the war. Used to roller skate on that flat roof! And Mum was at that rally and managed to get close enough to Moseley and wallop him with her handbag to cheers from the crowd. What lovely memories thank you. Thank you Janis for the kind comments, it really was great to talk with Ray and be able to share his memories. I’ll drop the family a line and let them know about your comment .. perhaps he remembers your family ! If you have any memories, photographs or anything you’d like to share, do drop me a line on Facebook or in the comments section here. Yesterday I visited my brother Alan Holmes we lived in Corfield Street and Alan was a good friend of yours . We talked for several hours about you Ray and some of the good times you and he had on the streets of Bethnal Green . He is not on face book but I told him about this article and he added so much more . Thank you Roy .. I’ve passed on your comment to Ray, along with your email address. I have thoroughly enjoyed reading about the history of this area. I moved into Corfield Street a couple years ago and have often thought about what it must have been like to live here in the past. What a treasure to find this Ray. My Mum was born in Finnis st in 1922, she lived at 241 Corfield st, her name was Phyllis Smith. She married a Henry Edward Lestrange from Wilmot st. My aunts also lived on Wilmot st no 90 and 64. Rita Howe and Olive Hilliard. Thank you for your comment Heather, I’m very pleased you enjoyed reading about Ray’s adventures ! Loved reading about Ray’s adventures, having been born in this area. There is so much history I am remembering now in my 72 nd year which I never new about, the photos are incredible, the stories well written. Thank you for the memories.